DO NOT UPLOAD TO ZEROCHAN OR ANYWHERE ELSE. I'm running behind on "Cat Month" and it's ALMOST OVER! But for the love of everything meowly why would you give these two girls cat ears but no tails? Anybody? 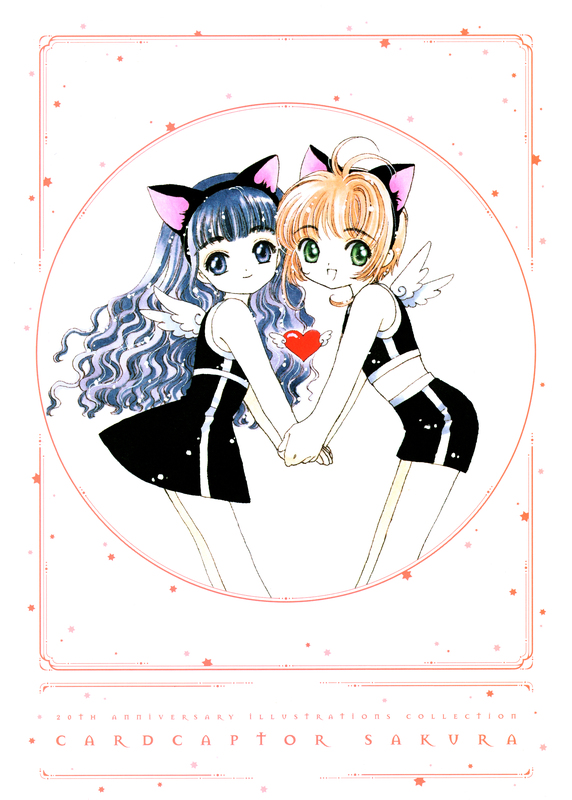 Well, either way, it's a cute picture of Sakura-chan & Tomoyo, also sourced from the 20th anniversary book. More cute Sakura-chan cat girl please!